John and Betsey raised several children in New London, including my great great grandfather, Charles Henry Whiskey. Sometime before 1820 (when John Whiskey appears in the U.S. census in Greene county New York.) Johnny and Betsey Whiskey settled in the beautiful town of Catskill, in Greene county. After surviving many ordeals in the British navy, Johnny Whiskey supposedly died while unloading tea from a ship in 1829. His 39-year-old widow, Betsey Whiskey, who had teenage children, married Andrew Brizee. At the New York State Archives, I found the marriage announcement of Betsey and Andrew in a Catskill newspaper. Betsey Whiskey, age 39 and Andrew Brizee, age 19, were the only couple whose ages were mentioned in the paper. Eventually the Whiskey and Brizee family moved to Troy New York. Some settled in Hoosic New York and others in Bennington, Vermont. Charles Mortimer Wiske in 1890 from the Brooklyn Eagle onlineCharles Mortimer Wiske, grandson of Johnny Whiskey and my great-grandfather, was born in 1853 in Bennington, Vermont to Charles Henry Whiskey and Louisa Boynton, daughter of Paul Boynton, who served in the Revolutionary War. Supposedly Louisa had perfect pitch and a lovely voice. Charles Henry Whiskey (later Wiskey) moved to Troy, New York where he ran a parasol shop on Congress Street. Their son, Charles Mortimer, known as Mortimer, showed early genius as a musician, becoming an organist for a local chapel in Hoosic at the age of nine! Mortimer lived for a while in Troy, and eventually moved to Brooklyn New York where he made his living as a composer, choral director and music teacher. He founded several choral groups and also was an active producer of the Newark Wagner Festivals of the 1880s. A popular choral director, he actually conducted a chorus of over 3,000 voices. One reviewer said that what it lacked in quality, it made up for in volume! In Brooklyn in 1875 Mortimer Wiske married the lovely 16-year-old singer, Elizabeth Emma Demott. The bride's mother, Emma Hart Demott, was descended from an old Long Island New York family. 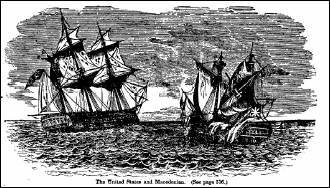 She was the daughter of Lemuel Hartt (Hart), a shipwright, who lived in Smithtown New York and in New York City, and Tabitha Darling, daughter of Adam Darling of Smithtown. The Darlings, Harts, and Demotts all came to Suffolk county New York in the 1600s. Lizzie Wiske died young on Christmas day in 1907 in N.J. My great grandfather Mortimer married "Aunt Fanny" (as my grandmother Wiske called her) Stanley, who was a singer and pianist in Mortimer's musical group. Mortimer had bought land in Bryant Pond (Woodstock) Maine in 1903 which he ran as a music camp, "Birch Villa." 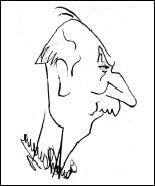 I have a caricature sketch that the famous opera singer Enrico Caruso drew of Mortimer. My ancestors began summering in Maine in the early 1900s. 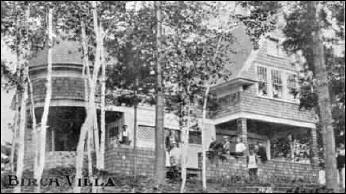 Birch Villa ultimately became a summer resort after Mortimer died in 1935. Fanny sold Birch Villa but continued to run Birch Villa's kitchen for many years. I summered in Maine as an infant and moved to Maine in 1991. I still visit Birch Villa, which is now a private home. By the early 1930s Mortimer Wiske finally moved to Bryant Pond. When C. Mortimer Wiske died in 1935 there were numerous articles on his death from papers in Maine, New York, and New Jersey. Fanny Wiske pasted his obituaries into Mortimer's autograph book, which he began during the Civil War. By some miracle, I am the lucky custodian of it.